Looking to turn your car into the ultimate driving weapon? For the best ride comfort, road holding, performance and handling for your vehicle, contact Bendigo Tyre Centre for our vehicle performance kits to turn the ordinary into the awesome. 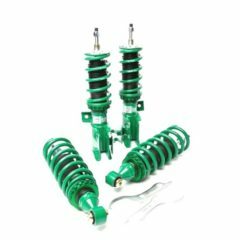 As authorised distributors of TEIN, King Springs, Bilstein, Koni shock absorbers, Boge shock absorbers, Super Pro polyurethane bushes and Whiteline sway bars and strut braces, we have a range of suspension upgrades to suit all vehicles and all budgets, with the experience and know how to help you truly get the best out of your vehicle. 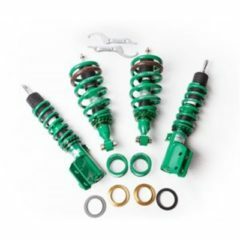 Custom-made performance packages are also available to suit any vehicle, using quality shock absorbers by Boge, Bilstein and Koni and springs by Kings and Eibach. Combining the engineering excellence of Boge shock absorbers, and the proven performance and quality of King Springs, Bendigo Tyre Centre are proud to bring you tailor made packages to suit your Commodore or Falcon. The combining of Boge shortened bodied shock absorbers, lowered King Springs and Super Pro bump stops will give your car better handling, superior ride control and the look you want to achieve without sacrificing ride comfort. To take your car to the next level in performance, offering even better handling, fuel efficiency and extra driver feel, try our Super Pro suspension enhancement and alignment kits along with heavy duty sway bars by Whiteline.